LSC was commissioned by Jaguar Land Rover to provide ecological support to the multi-million pound re-development of their main Engineering Centre in Gaydon, Warwickshire. This included Phase 1 habitat and Protected Species surveys for a range of different species including great crested newts, reptiles, bats, badgers, breeding birds and invertebrates. It was identified at an early stage that the key ecological consideration on the site was the population of great crested newts which breed in the onsite ponds and make use of the terrestrial habitats around them. Having worked with Jaguar Land Rover for a number of years, LSC had a good background knowledge of the ponds, populations and habitats on site, but the complexity of the scheme meant that a high level of confidence was required from the design-stage upwards to ensure that the final scheme would progress smoothly and in compliance with Best Practice. LSC worked alongside planners, architects and the highly skilled in-house team at Jaguar Land Rover to develop the proposals at the Design Stage. Consultation with Natural England through the Discretionary Advice Service (DAS) allowed the design to be developed to minimise impacts where possible, mitigate them where impacts were unavoidable, and develop long-term enhancement for the population through the creation of new habitat. LSC successfully sought a multi-phase Masterplan Licence from Natural England and designed and oversaw the construction of a receptor site which was specifically targeted to the requirements of great crested newts, whilst also providing habitat for other key species such as reptiles as well as rare bees and butterflies. 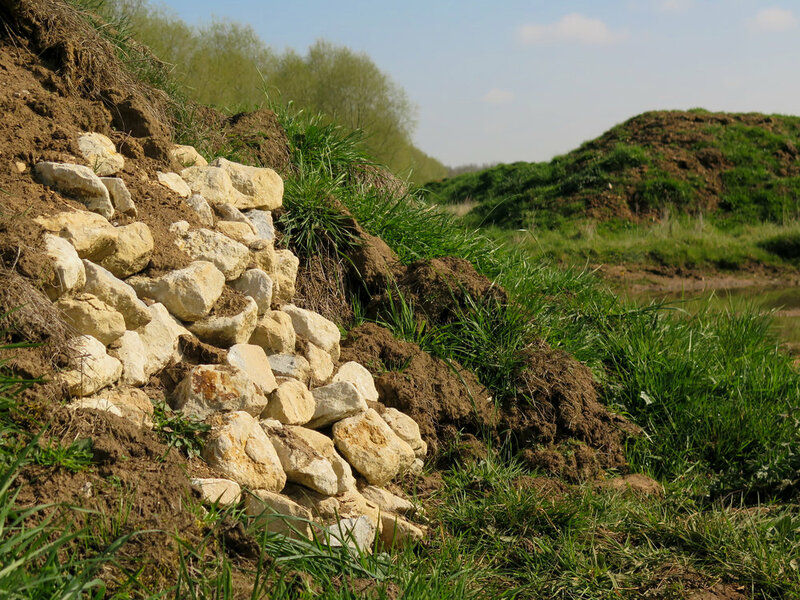 The habitat creation included new ponds with native aquatic planting, the development of new marshy grassland and scrapes, hibernacula and refugia piles for herpetofauna, and butterfly banks which have been planted up with the larval food plants of local priority species. The first phase of the Masterplan Licence is now completed and construction works are going ahead. The translocation works for the second phase are being undertaken by LSC into spring 2017 with a view to allowing construction works to commence in early-summer once all newts have been safely moved to their new habitat.